One of the most horrendous trends in fashion is wearing the American flag. I’m not talking about perfectly coordinated outfit that features the bold colors that represent our great nation: red, white and blue. I am talking about those poorly constructed, single-use items with American flags on them. Things like socks, sunglasses, fanny packs and even t-shirts, which usually aren’t even made in America. These single-serving items only highlight how far America has strayed from its famed ideals. So instead of rocking single-serving accessories that feature the design of the American flag on it, what if you chose not to support the capitalization of the end of our democracy? Why not choose to help instead? And the easiest way to do this is by representing marginalized ideas and concepts in a way that actually gives back. At a time where it would feel trite to try and pull together an American flag themed outfit, I think it’s important to bring awareness to everything we can be doing to, as Mr. Rogers put it, look for the helpers. A lot of us do not have the time to help in the ways that we want, but we still live in a capitalistic society and where we put our money can make a big difference to how we support our beliefs. You can highlight your true American ideals by wearing things that support your favorite charitable causes. 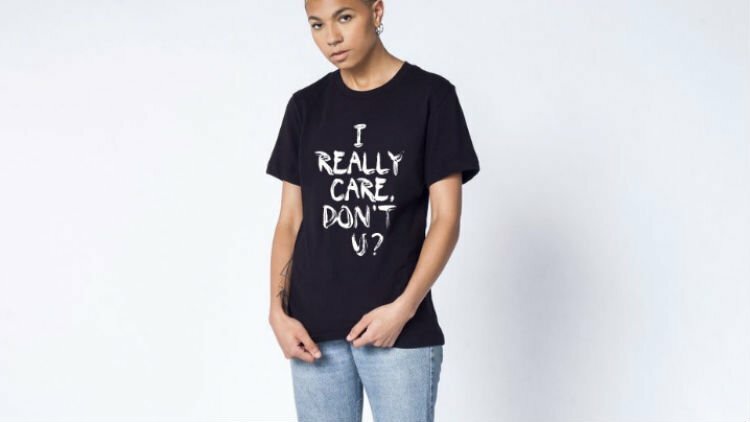 Items like Wildfang’s “I Really Care” t-shirt sends a strong message on your support of immigrant families during these ominous times. Plus, 100% of proceeds from its sale go to Raices. Not only will wearing this shirt on the 4th of July show your true patriotism, it’ll actually help persecuted families in need. If you’re chichi yuppie and wouldn’t dare to stray from shopping at Nordstrom then :PHILANTHROPY brand has got you covered. Their not so basic basics include the perfect white Henley. Pair it with a bright blue pair or pants rolled at the ankle for a crisp take on the classic Americana look. Plus, 10% of their proceeds are donated to Children’s Hospital LA, The ASPCA and other local animal charities. 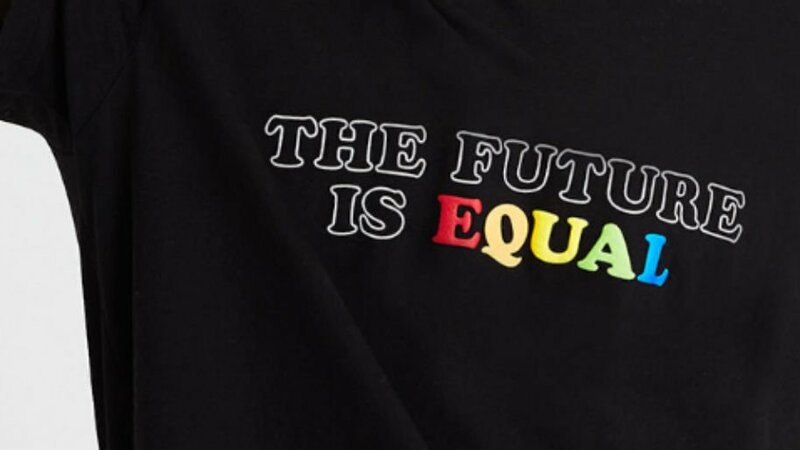 Right now, we’re closing out Pride Month so what better way to show your solidarity with the LGBTQ community than wearing American Eagle’s “The Future Is Equal” t-shirt. AE’s entire Pride Collection sells for under $20 and 100% of the proceeds go to the “It Gets Better Project,” which works to empower gay youth. If accessories is where you want to beef up your 4th of July look, we’ve got you covered. These Pala Eyewear Aviators will take your look out of the danger zone. And not only that, for every pair of sunglasses purchased, Pala Eyewear donates a pair of glasses to a person in need. The Giving Keys Necklace is an accessory that will help you be mindful of how fortunate you are. Each key has a hopeful message inscribed on it that also makes a great gift. Plus, proceeds from each sale support job creation for people transitioning out of homelessness. And if I couldn’t talk you out of wearing American flag socks this 4th of July–go for it, as long as you buy them from John’s Crazy Socks. JCS has a good selection of American flag socks that you might want to pair with your n:PHILANTHROPHY henley look…wink, wink. 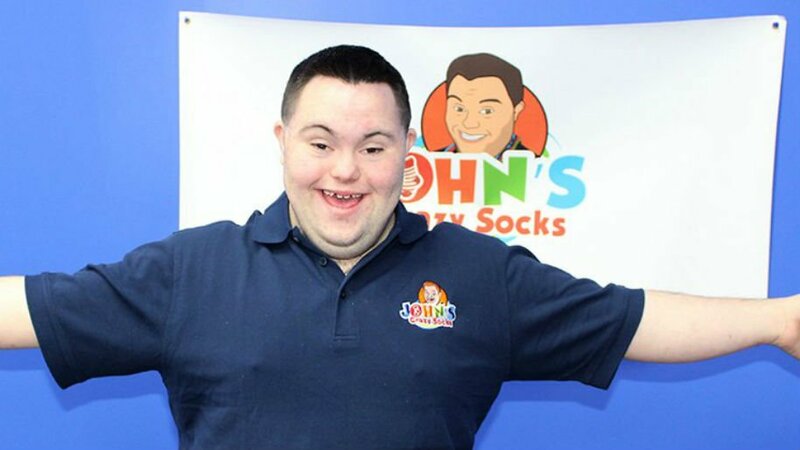 John Cronin, the co-founder of JCS, has Down Syndrome and 5% JSC monthly sales are donated to the Special Olympics. And that’s American af.